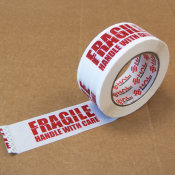 Packaging tape, also known as box sealing tape, is an essential product to have on hand for any manufacturing or packaging operation. 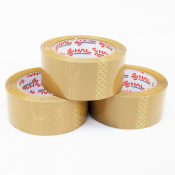 Our HAL They're compatible with manual, semi-automatic and fully automatic taping machines. 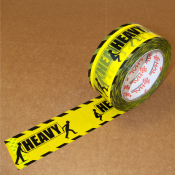 These are high-quality tapes that have excellent tack and appearance. 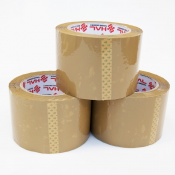 A wide variety of industries use HAL tapes to seal products like pet food, nuts, electronic components, machine parts, office items, nutraceuticals, moving boxes and products for export. 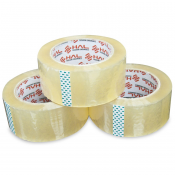 Features include superior strength and adhesion, and these tapes are good for both general use and heavy duty industrial packaging. 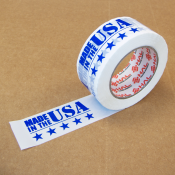 Choose from different styles of tape, including clear, tan and printed messages such as fragile, heavy and made in the U.S.A. Clear and tan varieties are sold in quantity for cost savings. 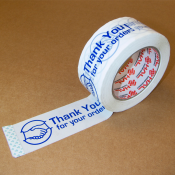 You can choose from various options for sealing boxes. At the most affordable end of the spectrum is the simple dispenser for manual box sealing. 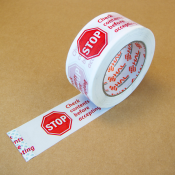 At Technopack we have inexpensive yet extremely durable tape dispensers with comfortable grips for single-handed use. We also offer semi-automatic carton case closers that speed up the process of sealing boxes and provide a more professional, uniform appearance. Automatic case closers are preferred for larger facilities that must assemble, pack and close many boxes quickly. 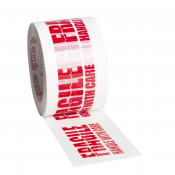 With semi-automatic and automatic carton sealers, tape usage is greatly reduced for additional savings. For more than 70 years, we've been the leaders in material handling and packaging, offering a wide selection of machinery and supplies for commerce and industry. We sell only the best quality products at affordable prices, and we stand by the products we sell with excellent technical support. With our many years of expertise, we can answer any questions you have about packaging, and can help you choose the right products to fit your requirements.